Is Chicago Losing Its True Oldies Channel? It would certainly appear to be the case. In fact, The "True Oldies" name seems to have disappeared from the station completely ... it now refers to itself as yet another "Greatest Hits of All-Time" station and / or "Chicago's Greatest Hits Station" ... about the ONLY time you'll hear "True Oldies" mentioned at all anymore is during Scott Shannon's shift, which has been DRASTICALLY cut to next to nothing with all these changes! Shannon needs to re-think his True Oldies format and stop trying to mold it into what WLS wants it to be ... he's already been reduced to doing nothing more than giving the call letters during the week ... and now has to work even harder to record a program especially designed to air in the Chicagoland market. Again, reaction has been universally negative ... listeners HATE it and want the OLD Scott Shannon back again. Seriously, True Oldies on another station ... as long as Shannon remains "True" to the original True Oldies format ... would go over GANGBUSTERS here in town, where less and less and less '50's and '60's music is being played. He needs to find another outlet here in town for such a station. Yes, it'll be hard giving up the WLS flagship connection ... but they have TOTALLY destroyed your concept in the process ... and believe me, listeners are leaving left and right! In his own post, Damsky states: What we are trying to achieve in this evolution is to make the station as local as possible, while preserving what many people enjoyed in listening to Scott Shannon’s “True Oldies Channel.” We’re very happy to have Scott continue contributing as long as the work load doesn’t interfere with his golf game. We’re also happy to give more airtime to the very popular Danny Lake and Tom O’Toole. 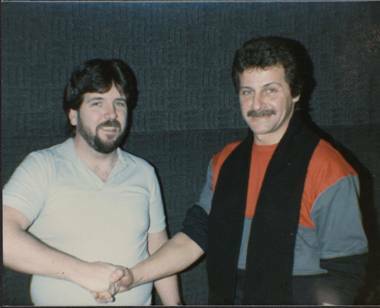 As for Casey Kasem, PD Michael La Crosse and I think people will enjoy the unique historic perspective of hearing the context in which now-classic songs were first introduced. In any event, I believe people will appreciate the fact that we are still Chicago’s only “oldies” station. What's Eric up to these days? Still touring. "Presently I have more shows coming up in the US and Canada and a European tour this summer," he tells Ray Sasho of the St. Petersburg Examiner. "I just finished recording for a new album with a video about Bo Diddley (with the family's blessing, of course). More recordings and exciting projects are on the way but the fans and the world are just going to have to wait and see." On living in California, Burdon states, "One of my reasons for living in California is that it’s close proximity to Mexico. The Latin influence is in every corner of the community. My love of Spanish music hasn't wavered since the 50's. I could hear the blues voicing from the Flamanco families and I always dig for inspiration in Latin music. I just got out of the studio after recording for my new album and a couple of the tracks that we laid down were heavily influenced by Latin music. The album is coming out later this year, so look forward to it." 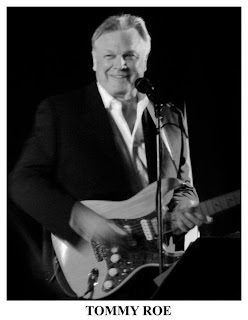 After a 4 year hiatus, Tommy Roe is returning to touring with a brand new show: An Evening With Tommy Roe. A bona fide international star, TOMMY ROE wrote and recorded six "Top 10" hits between 1962-69, more than any other solo American artist. To his credits he has 11 US Top 40 hits, 6 Top 10s, 4 Certified Gold singles, and 2 #1 Hits. 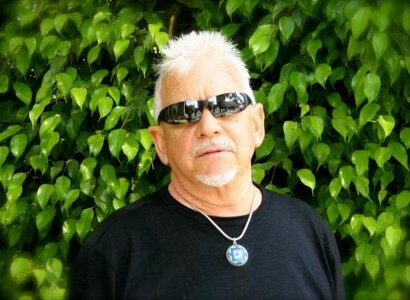 He is a member of the Hit Parade Hall of Fame, The Georgia Music Hall of Fame, and the Rockabilly Hall of Fame. Born in Atlanta, Georgia, USA, Tommy Roe began writing songs at the age of fourteen, and his first recording effort yielded the international #1 hit ... Sheila. In 1963, TOMMY ROE headlined the now famous UK tour, in which a rising band called The Beatles were the opening act!! An Evening With Tommy Roe is a new show featuring all his hits, plus less familiar tunes, and new material as well. The band is led by veteran guitarist / music director RICK LEVY (Herman's Hermits, Bo Diddley, Jay & the Techniques, Freddy Cannon, etc). The show features full band, unplugged and solo segments. Music Legend Jon Anderson To Tour The US In Support Of Forthcoming CD Release, “An Acoustic Evening With Jon Anderson” 4/5/2011 – Asheville, NC - Much to the excitement of fans across the country, Music Icon Jon Anderson, best known for his work with Yes, Vangelis, Kitaro and other notable music artists, as well as his innovative solo efforts, is preparing to tour the US in support of his forthcoming CD release 'Survival and Other Stories'. Jon recently completed a successful European tour with former Yes member and keyboard virtuoso Rick Wakeman on the heels of their critically acclaimed debut album 'The Living Tree'. 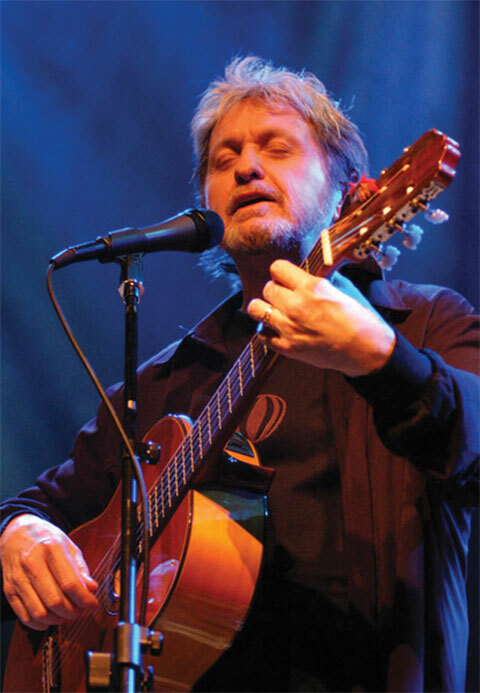 The upcoming Spring tour “An Acoustic Evening With Jon Anderson” touts an exciting mixture of material from Jon Anderson's prolific solo career, collaborations with Vangelis and classic Yes songs, along with new compositions from his pending CD, and promises a magical and memorable evening of enchanting music for all who attend! Most recently, Jon Anderson's vocals from the song "In High Places" featured on Mike Oldfield's 'Crises' album from 1983 (written by Anderson and Oldfield) are sampled on Kanye West's new track "Dark Fantasy" from his 'My Beautiful Dark Twisted Fantasy' CD, which has topped Billboard's chart as the #1 album in the country. On May 24, 2010 Jon shared the stage with the 112 member Cleveland Contemporary Youth Orchestra and 60 member student chorus in a mesmerizing performance that exudes joy and energy. The one night concert was recently shown on HDNet. For replay information visit http://www.hd.net/schedules// Three weeks ago Jon sang with the wonderful San Antonio Youth Orchestra to several standing ovations adding a new ark to his luminous career. Jon is featured singing on the upcoming CD release by US composer and producer Jonathan Elias called 'Prayer Cycle', which also includes guests appearances by Sting, Rahat Nusrat Fateh Ali Khan, Jonathan Davis of Korn, Sinead O'Connor, Robert Downey Jr. and via an archival recording Jim Morrison, amongst others. Jon Anderson and Rick Wakeman's recent collaboration 'The Living Tree', the duo's debut studio release featuring nine tracks of original material, has been garnering rave reviews worldwide! Details and ordering information can be found at the Voiceprint website. You can also download The Living Tree on Amazon.com. Jon's much anticipated forthcoming CD 'Survival and Other Stories” is scheduled for release in late Spring 2011. With themes about love, life, understanding, healing and survival, Jon's new CD has an inspirational message for all who will listen! And how cool is this??? 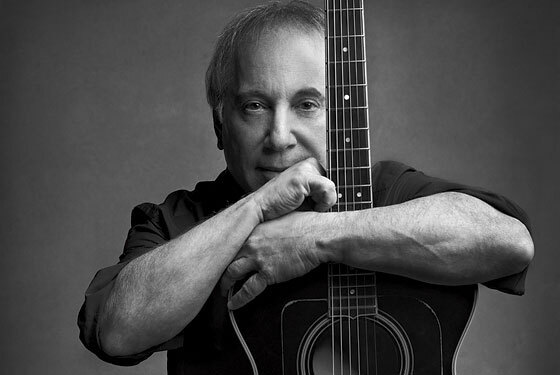 Paul Simon's brand new album drops next week ... and he's giving everybody a chance to listen to it first before purchasing the LP! Paul Simon's new album, So Beautiful or So What, will be available in stores on Tuesday, April 12, 2011 ... but you can listen to the full album right now on our special listening party hosted by Soundcloud. Just visit http://stream.sobeautifulorsowhat.com where you can stream the album, in its entirety. We've included some special features on the page and you can listen to the music, comment on the songs, share on Facebook, Twitter and e-mail it to your friends and like the page on Facebook - help spread the word about this amazing album. Paul Simon - So Beautiful or So WhatListen to the full album now! >>>Is there a possibility that there are two versions, single or album, of the Guess Who's Star Baby? This has been driving me crazy for years as the current versions you hear on the internet just don't sound right. I remember the version that WLS played to death was noticeably faster, more energetic. But then, wasn't one of the Chicago stations accused of speeding up the songs so they could have more room for commercials? Regarding WLS speeding up songs so that they could squeeze more songs in a given hour, it didn’t happen while Sam Holman, Gene Taylor or on my watch as program director. I seriously doubt that it ever did happen as it would have changed the pitch of the music. 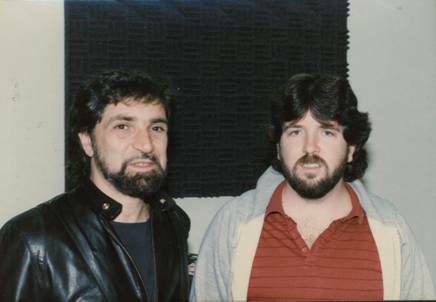 Never during my time as Program Director did WLS alter any of the music programmed. I asked Bob Dearborn if this story rang any type of bell with him ... perhaps his info will finally shed some light on this story. That was the practice at WCFL for several months in late 1974 / early 1975. The story has been exaggerated so often in the re-telling that I see from Kent's question that it now encompasses "the 1960s and 1970s." Not so. That's way out of proportion. The idea was to make the music sound brighter, more energetic on 'CFL. It was hoped that dial-switchers, and you'll recall there were many, would find the music sluggish on WLS by comparison. I've read some accounts that this was done to make it possible for us to play more records per hour. Maybe ... one very short extra song per hour, tops. Many of us on the inside complained that cheating in this manner was no way to win the ratings battle, but at that point, with the ratings in free-fall just a couple of years after it was the BillBoard Radio Station of the Year, the people running the show were ready to try anything, even deceit. Speeding up the records was just one of the unfortunate practices going on at WCFL at the time. WCFL stopped speeding up the music when word of it leaked out to the press. This was the Watergate Era and it seemed like every newspaper guy in town envisioned himself as the next Woodward or Bernstein. It seemed like every week during much of this era, there were several newspaper stories written by local "investigative journalists" about the unsavory things going on at the Voice of Labor. It was an unhappy, embarrassing time for most of us. By spring of 1975, a new program director was trying to right the ship with an honest, creative and somewhat edgier approach. But again, it was too late. The damage had been done. Although all of the trickery ended before 1975 did, by then the damage to the station's image and reputation had been done. Once you lose people's trust, it's next to impossible to regain it. Then on March 15, 1976, Super CFL was no more. While this CFL incident in 74 / 75 was taking place, I was at WMAQ and more or less out of the loop concerning the LS / CFL war. I was there for six years, 1970-1976, and proud to be a part of it for almost every minute. The relatively brief period when we resorted to speeding up the records as a desperate attempt to get back to being the #1 Top 40 station in town is not something I like to remember, but it's impossible to forget the embarrassment it caused the majority of us who were working there at the time. It's a shame that human nature leads us to recall a comparatively short negative time instead of longer stretches that were quite the opposite. There are some people who talk about "the fat Elvis" as if he'd been overweight for most of his 23-year career instead of just the last couple of years of it. Instead of focusing too much attention on the short time we went astray, I would ask people to remember the many good things they heard from "The Men From Ten" over the years, the fun they (and we) had during the days when 'CFL really was Super. For the past twelve years, Forgotten Hits has prided itself on presenting "The Most Accurate Truth" to our readers. FAR too often, erroneous stories are repeated so often that the actual facts soon become blurred ... often to the point that the fiction BECOMES the truth. Not unreasonable, I suppose ... if you've seen it in print SO many times, it MUST be true, right??? Whenever we can, we try (most often with the help of some of the folks that were there) to set the record straight ... our purpose isn't proving somebody wrong or calling somebody a liar ... but rather to get the REAL facts out there in the hopes that the media will pick up on the truth and start circulating THAT for a change!!! 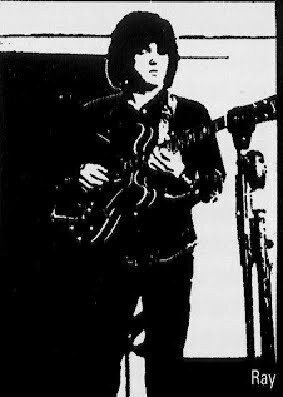 "Herr played guitar with the Ides of March pn their biggest hit, “Vehicle.” The single rose to No. 2 on the national charts and broke ground for its use of a brass section in a rock band. “Vehicle” became the fastest-selling single in Warner Bros. Records' history. It wound up selling more than 1 million copies, and led to an album by the same name, as well as extensive national tours. The Ides recorded their second album, “Common Bond,” and one of its singles, “LA Goodbye,” stayed on top of Chicago's charts for five weeks. Herr continued to record with the Ides, including their other major hit, “L.A. Goodbye,” which reached the top of Chicago charts, but he left the band after that and never looked back. Far be it from me to speak ill of the dead ... and certainly NONE of this is Ray Herr's fault ... but The Daily Herald reporter should have done a little bit of fact-checking before publishing his story. "Vehicle" did, in fact, reach #2 on Billboard's Chart (after topping the charts here in Chicago.) Although it was a HUGE hit (and still gets played at least a couple of times every single day), I don't show any record of this single ever officially selling a million copies, however. Meanwhile, despite what The Daily Herald article tells you, "L.A. Goodbye" NEVER made it to #1 on the Chicagoland chart (let alone spent five weeks there!) ... it peaked at #2 ... and nationally petered out (or would that be Peterik-ed out) at #72 in Cash Box and #73 in Billboard. Although it certainly DESERVED to be a much bigger hit, it simply didn't happen. Worse yet, there is SOME speculation as to whether or not Herr played on the track at all. He's not pictured on nor mentioned in the band personnel on the back of the LP cover ... and some have suggested that he left the band between "Vehicle" and "L.A. Goodbye". Having secured a recording contract with Warner Bros. Records, in 1970 the band released the track "Vehicle," which at the time became the fastest selling single in Warner's history. The song reached #2 on the Hot 100 and #1 on the corresponding Cash Box listings. It sold over one million copies, and was awarded a gold disc in November 1972. The following album, Vehicle, reached #55 nationally. In 1971, the band released their second album Common Bond. The featured single was "L.A. Goodbye". The song was at #1 on regional charts for five weeks, #2 on WCFL Chicago, #5 on WLS Chicago, but only #73 on the Hot 100. Wikipedia take note: "Vehicle" didn't hit #1 in Cash Box either ... it peaked at #6. And a quick check of the official RIAA Million Sellers website does NOT show "Vehicle" attaining a million sales either. As to what "regional chart" showed "L.A. Goodbye" at #1 for five weeks, the ONLY major charts in Chicago at the time were the WLS and WCFL charts, the two Top 40 Rock Stations (both AM giants in 1970 / 1971). Since they correctly list "L.A. Goodbye"'s peak position on those two charts, I cannot help but wonder what "regional chart" they're referring to! You are correct. Ray did not appear on LA Goodbye or Common Bond. He had left the band well before we started that album. 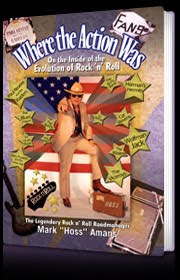 TODAY IS FREDDY "BOOM BOOM" CANNON'S 52ND YEAR IN THE ROCK AND ROLL BUISNESS! ON APRIL 1ST, 1959, TALLAHASSEE LASSIE WAS BORN!!! Wow! I just found a fantastic site! The way I see it, there is no precise definition; an "Oldie" can be 100+ years old, but it can also be song released yesterday. I only say this because of what content is offered as "Classic Rock". Some of it is now defined as such, but was Pop music yesterday. That's why I object to name tagging music. Just like in Joel Whitburn's books, the phrase "Adult Contemporary" is used. However, those radio stations, if there were ones, no longer exist. Times change. Take for example, Herb Albert (& The Tijuana Brass). Some of his / their hits that scored better as Adult Contemporary are well known to most of us who never listened to such radio stations. On a last note, we have "White R&B" and just "R&B", besides "Soul". Maybe it'd be best just to call it White and Black music. It gets ridiculous after a while and will get worse with time. I have many many 45s that I figure are rare ... two piles about one foot tall each, I grab the top handful and get "I Love You More and More Everyday by Al Martino and "Doncha Think It's Time / Wear My Ring Around Your Neck by Elvis ... this is a British pressing and an original issue, because it is a different take than the one on "50,000,000 Million Elvis Fans CANT Be Wrong"; "Wild In The Country" (sung over the movie's opening credits); Pipeline by the Chantay's (would be 20+ years before finding out WHAT the term pipeline meant) -- surfing wave ... that encircle ... the surfer; World Without Love by Peter and Gordon; Saturday Night (at the Movies) by The Drifters; RARE ONE: Popcorn by Hot Butter; Tennessee Bird Walk by Jack Blanchard & Misty Morgan; RARE AGAIN: Groovy Grubworm - Harlow Wilcox; Do You Love Me - The Contours (A ROLLER SKATING prize); RARE: Put a Light in the Window - the Four Lads; Up Town Girl - Billy Joel; My Dad - Paul Peterson; Scotch on the Rocks- The Band of the Black Watch; The AMERICANS by Gordon Sinclair (Gord was a newscaster and radio commentator with radio CFRB 1010 Toronto when he did this narration which he wrote himself for a five minute pre-newscast he did at 11:55 AM, Mon - Fri called LET'S BE PERSONNEL); Locomotion by Grand Funk; Love Me Do / P.S. I Love You - THE BEATLES; Everybody - Tommy Roe (Usually sand about a girl); Me and Bobby McGee/ If You Could Read My Mind - Canada's Gordon Lightfoot (one of the few songs he did that HE DIDNT WRITE HIS OWN SELF); RARE: Let's Go - The Routers (would become a chant at many local sporting events back then); RARE: Silence is Golden by The Tremeloes (if silence IZ golden, X must be on the SILVER standard); Could You Ever Love Me Again - Gary and Dave, Canadians; Waterloo - Ol' Stonewall Jackson; South Street - The Orlons; El Silenzio - Roy Etzel and Orchestra; What Will Mary Say - Johnny Mathis; White on White - Danny Williams backed with Papa-Oom-Mow-Mow - The Rivingtons on the SAME 45! How much really good music and songs NEVER, for varied reason, got AIRPLAY at ALL??? Plus Two 45s by Elvis that I don't think were pressed IN the US: Shopping Around / Wooden Heart from G.I.Blues and Mean Woman Blues / Have I Told You Lately. Mean Woman Blues is from Loving You, but that is NOT printed on the label. Wonder if there aint more. These two were issued on regular RCA labels, so they cant be bootlegs. One thing about lisening to the various radio stations I was able to get over there on Lake Huron: CKLW Windor, WBZ, WCFL. WLS, EEEEEEEEEEEEE T C ... In the early 60s you heard a cross section of STYLES OF music. Folk, C/W RnR, Bert Kaempfert, Perry Como, Al Hirt ... WE ALL LEARNED to appreciate many styles back then. IZ it the same today????????????? I did not know about Leon Russell and the Playboys (that has a nice ring, don"tcha think); I'm bettin' a lot of these okies don't know that, and Leon is an Okie; but here's one you probably know, but people that ain't oldies nuts like us don't know, that Glen Campbell sat in as a drummer for Buddy Holly and the Crickets? (I heard that years ago from The Master, Casey Kasem!!!) P.S. When I was a kid, I used to stay up way past my bedtime so the "skip" would be right, and then I could tune in WLS, Chicago !! I was in Birmingham, Alabama! Don't forget Brook Benton's song from 1961, FOOLS RUSH IN. I forgot to mention in my previous e-mail that years ago there was a debate on the radio station of whether Susan Christie was related to Lou Christie. I don't remember how that debate turned out. The song by her was big here in OKC. I guess you could ask the question, "What ever became of her?" Thank you for helping me decide what to have for dinner tonight. I am going to have I LOVE ONIONS (fried of course) with a CHEESEBURGER IN PARADISE through the courtesy of Jimmy Buffett and I am going to top it off with a large chocolate SHAKE! SHAKE! SHAKE! by Jackie Wilson. "Fool If You Think It's Over" is one of my all time favorite songs, thanks for featuring it. Forget reading the autobiography of the Piano Man this summer. Billy Joel announced Thursday (March 31) he has cancelled plans to publish his life story. "The Book of Joel" had been due to come out in June, but Billy says, "It took working on writing a book to make me realize that I'm not all that interested in talking about the past, and that the best expression of my life and its ups and downs has been and remains my music." Filming will begin this summer on an adaptation of the book, "The Dead Circus," a fictionalized account of an investigation into the death of Bobby Fuller in 1966. James Marsden and Melissa Leo are among the announced cast with Adam Davenport directing. Got this one from Ron Smith. Maybe we can start that old suicide vs. murder debate again. Thanks for the good words - - I try to KEEP MYSELF entertained mornings -- heck just played the YOUNG HOLD UNLIMITED 45 - - " Just Ain't No Love" from my Brunswick 45. Among many others -- for a suburban station, I keep it rockin!!! And my pd is awesome also!!! Now if they can only get Lujack, Ron Riley, Dex Card and have Biondi move over, THEN it would be a great station. Maybe WCFL-FM? I just heard Scott Shannon give you a special shout out during his Rock And Roll Remakes Weekend! I read the posting about Marmalade. I am a fan of the the groups mid 70's release, Falling Apart at the Seams. It is a great song that sounds like the Four Seasons or the Tremeloes from a decade earlier. It might be a good one for your featured track of the day. You're always looking for non-Top 10 material, right? The Flaming Ember - Westbound #9 (1970) Charted #24My favorite! I personally applauded this song elsewhere, that's when Jerry Plunk (drummer here) heard me and wrote on 09/13/2006, "Stumbled on this by accident. This is so cool. Will send you an email at home tonight". That is certified genuine, Mr. K'!!! The Flaming Ember (Westbound #9, Mind, Body And Soul). Not sure who is correct, Wiki or Whitburn, but it APPEARS Jerry Plunk is both lead singer and drummer of these two Top 30 hits!!! Joel never responds to me anymore. Sent an e-mail off to Jerry; hope he'll respond with definite information; it's been a while!!! Thanks, Kent, you're Wonderful! I've copied Jerry on this email so you can have his personal email address. I'm sure he will want to answer this himself, however, I am curious how this "rumor" started about Jerry not being the lead singer? If you get a chance, listen to "I Won't Hurt You Anymore" by Jerry Plunk on Youtube - a VERY old song before the Flaming Ember days. You'll see that it is indeed his voice on all the Flaming Ember songs (which I also can attest to since he STILL sings to me). This song has just been released in the UK on Sonic Wax records (which is pretty cool when you think about it). There was a guy on Youtube who wrote a few things about it being his dad who really sang on the songs, but this was either a terrible misunderstanding between father and son, or a lie ... and since his dad has passed away, we'll never know which. Jerry addressed this on Youtube and the guy went away. Also, Jerry is on facebook if you'd like to connect. Al Wilson - The Snake (1968) Charted #27 Never knew Al Wilson was a drummer! Wonder if he plays drums on this song? Never heard it before; found it on a UK Soul compilation. Cool song. It was sad to hear of Ray Herr's passing. He was quite a talent. You can hear just a bit of his greatness in this live track recorded several years ago. He was a "rock 'n' roll star." Here's Eddie with former Beatles drummer Pete Best ... and then (below) with Young Rascals founder Felix Cavaliere! Here's why I'm writing: I only found one book about the American acts of the British Invasion Era, Childs and March's Echoes of the Sixties. In fact, it was the first rock book of this genre I read. It's very good, but I want more. Any suggestions from your readers for books about the 60's American acts? 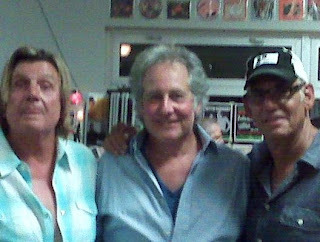 I've been fortunate in my career as musical director / bassist for The Rip Chords, Billy J. Kramer and Ron Dante / Andy Kim, to have shared stages, limos, hotels, backstages and so on with so, so many of my then-idols, many of whom are now friends. I've heard a lot (I wish I could share some of the juicier stories with you, but I'm afraid the better parts of friendship and discretion don't allow me to) but I want more! So, if anyone has any suggestions, they can reach me at Doc_of_Rock@comcast.net . As always, Kent - keep up the great work! (Note: Kent, attached are two photos your readers may [or may not!] enjoy: the first is my daughter, Devyn Rush, known on American Idol as "the singing waitress." Her career has taken off even more since her appearance on AI. Here she is this week in NYC at the American Theatre Wing for the Jonathan Larsen Foundation, where she performed. Thanks for your online photo album; nice to look through! Oh, oh! ... Mr. K's been is missing in action!! Call the dogs out!!! Have you submitted your suggestions yet for our new "Best of the Pre-Rock Era" poll? We're looking for the songs that YOU feel had the greatest impact on what came to be known as Rock And Roll ... and, once we tabulate your votes, we'll recap the list's favorites.